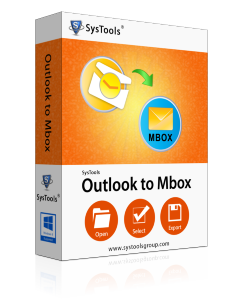 This application converts Outlook emails and its data items into MBOX file format. It creates a single MBOX file for each Outlook PST file and moves PST data (emails, contacts, calendars, attachments, notes, tasks, etc.) to it. It does not make changes in the hierarchy of folders/sub-folders and even keep it intact from being any kind of deterioration. This is sort of an advance option which is used to maintain the original folder structure of PST file. When the software initiates its processing, it starts preparing the details about the conversion of Outlook items to provide its preview. This detail includes "current folder", "folder count" and "numbers of emails" that were passed under this conversion. PST to MBOX converter gives a promising result and that is keeping data integrity same as it was. If you have lately exported Outlook emails to MBOX, then converted data will be retained with major meta attributes such as CC, To, BCC, etc. Now you already came to know that this tool exports PST to access on other email clients. At the end of the execution, this tool generates an MBOX file. These converted MBOX file can be then accessed on other email such Thunderbird, Eudora, Outlook for Mac, and Entourage. 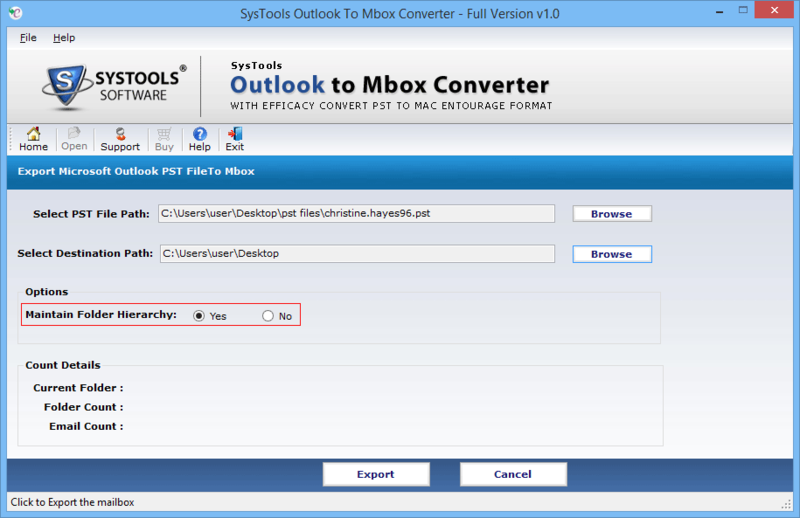 PST to MBOX converter provides users a single panel interface to work with the tool. To experience the fast processing of file conversion to the selection and understanding of the file, users can use the single panel UI feature of this software. Is it possible to transfer Outlook emails to Mac or Thunderbird of multiple PST in bulk? No, the PST to MBOX converter allows the migration one by one. It means user can transfer emails of one PST file to MBOX file at a time. After completion of one file conversion, user can proceed for another Outlook file conversion. This cycle will be repeated for N number of Outlook data files. How is the software useful for non-technical users? This tool has been developed especially for those users who have lack of technical skills. Hence the tool is built with user-friendly layout by keeping those users in mind. 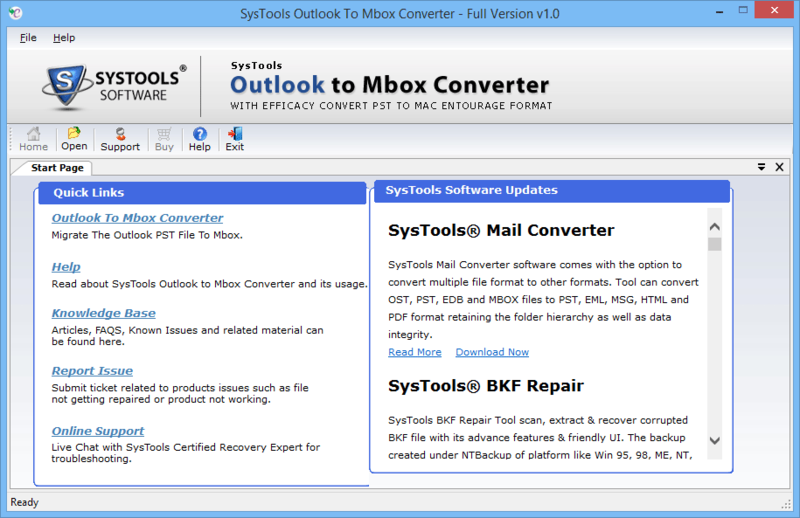 Apart from this, Outlook to MBOX conversion tool is reliable, flexible and suitable solution for the business as well as common users. While converting PST to MBOX, Is it necessary to install Outlook and MBOX supported email client? While doing the conversion, you should have Outlook installed in your PC but it is not necessary to install MBOX supported email application. Moreover it is required at the time of accessing the converted MBOX file. What are two prime features of Outlook PST to MBOX converter tool? This software is user's pocket-friendly, which can convert unlimited size of PST files to their respective folders and supports exporting of all Outlook items. 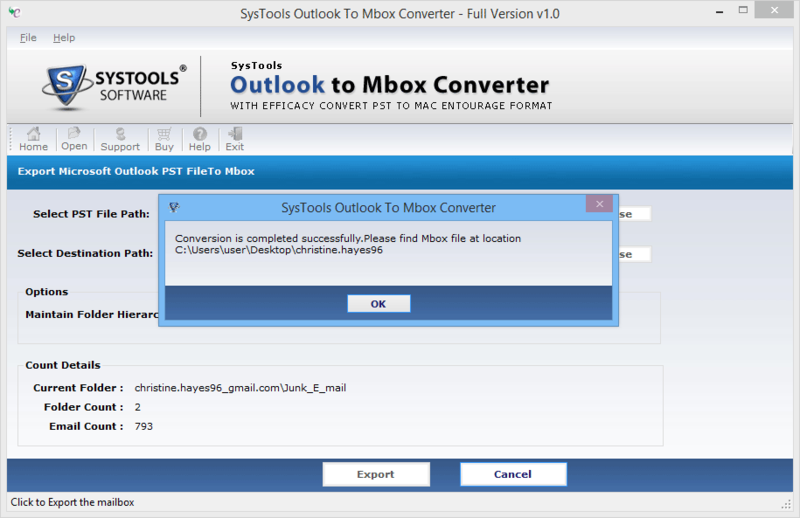 PST to MBOX converter did the job of conversion so quick and now I can access my Outlook emails in Apple Mac environment. Thanks for inventing such a usable utility. I got familiar with this tool when I was was carving some manual methods to transfer My Outlook emails to mac. I tried it and got 100% accurate conversion.